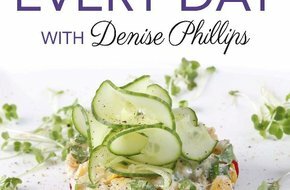 Through her books, newspaper columns and master classes, Denise Phillips has gained a reputation as a leading Jewish cookery writer. Her enticing and stylish recipes are an original blend of the old and the new, often with a modern twist. Now she brings her many years of experience to Chai Cancer Care by curating this book of over 60 delicious, easy to make recipes that are great for celebrating any occasion.